E-learning authoring tools are typically used to create two types of e-learning: software training and soft-skills training. Often, we focus on the soft-skills training side, since Articulate Storyline makes it so easy to build out powerful branched scenarios of realistic situations with characters and rich imagery. However, a large part of our customer base also needs to develop software training, which has its own set of challenges and obstacles. To name a few, you have to find the perfect setup in your recording tool, simulate real-life environments, and work with fake data or a testing environment. In this article, let’s take a peek at some of the benefits and features of using Storyline to record your next interactive software simulation (SIM). Storyline lets you record your simulation and insert it as a single video file on one slide. This video simply shows your recorded computer screen, and it captures all of your mouse movements as well as audio narration (if you choose to include it). These make great videos for demonstrating a process from start to finish, but they are neither interactive nor engaging. If you don’t want learners to simply sit and watch a video of the process, you can create an interactive simulation of your process as step-by-step slides. Instead of seeing a video, the process is broken down into single slides with hotspots and captions containing instructions. This lets you simulate the software by letting your learners click on the right areas of the application, or enter the appropriate text or data, just like they would do in real life. Some screen recording tools will make you decide on the output format (such as a single video, a demo mode, or a test mode) before you record the process. This means once you’ve recorded, if you change your mind about how you want to use that process, you would need to re-record the entire thing in a new format. With Storyline, you can avoid those snags. You get to record your entire process and then choose the format (single video or step-by-step slides). This means you can reuse one recording in many different formats without having to re-record. We all know how tedious post-recording edits can be. It’s a total pain to manually update background images one at a time to remove an accidental “pop-up email” or information that the learner shouldn’t see. But with Storyline, post-production edits are hassle-free. If you want to edit the background on a slide, you can simply right-click on it and select the “Action Fine-Tuning” option from the menu. Drag the two bars along the timeline to easily edit the background and action of the current slide. With this handy-dandy feature, you aren’t forced to edit your background images one at a time. Forum Discussion: How to create more engaging software simulations? Do you have any tips of your own about using Storyline for software SIMs? If so, please leave a comment below. We love your feedback! Do you want to try something you learned here, but don't have Articulate software? Download a free 60-day trial, and come back to E-Learning Heroes regularly for more helpful advice on everything related to e-learning. Great article! I'm starting to use Storyline to develop basic e-learning modules for EHR system training, but I'm wanting to use it for more. I have used other software for e-learning creation, but our company prefers Articulate products. Does Storyline interface with the Studio products? Other department members prefer to use Engage and the Articulate add-on within Microsoft PowerPoint, and I would like for them to be able to preview my Storyline presentations before published on their own computers. Hello there Sarah! Thanks for your comment and your question. 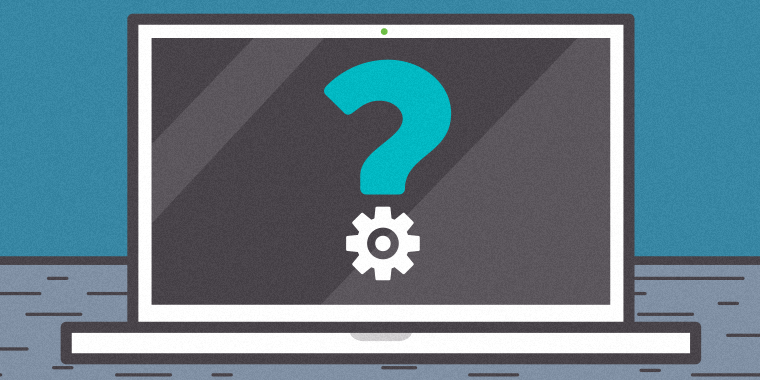 You can import an Engage '13 interaction into Storyline 2. Here is a tutorial which might help: http://bit.ly/1BASfpo . However, please note that if your coworkers are using Studio '13, they can't preview or open a Storyline file within those applications. Hope this helps! Since publishing in StoryLine is so easy that's what I do when I want to show someone a preview of the project I'm working on. That way, they can also see any interactions etc. and they don't need a copy of SL to look at it, just a web browser. Hope that helps, --Allen . Great tip, Allen! Thanks for sharing. This is truly one of my favorite features! So simple, yet so Powerful! @Sarah: You could always do a quick publish and upload it to http://TempShare.Articulate.com for 10 days. There is no connection between Studio and Storyline. I am new learner of this site. Here I see the benefits of story line and after discussing I'll back here soon. Hi, Our corporate office produces elearning resources in Studio and we have Articulate Storyline 1 (at this stage). Can I import a Engage 13 interaction into Storyline 1 if I do not have Studio? Hi Robyn! Unfortunately you can't import an Engage '13 interaction into Storyline 1, however, you can import it into Storyline 2. Maybe a good reason to upgrade. Hope this helps! Hi Nicole, Thanks. We have ordered Storyline 2, however being a government dept, waiting, waiting, waiting!! How is it that Studio 09 could import into Storyline and the Studio13 (upgrade) is unable to? Robyn, Be sure to take advantage of the StoryLine 30 day trial offer. It will cut down on the waiting a little. --Allen . "or enter the appropriate text or data, just like they would do in real life." I'm just curious if there are videos or resources elaborating on this, as this was what I could not see that it did. It felt much more like the hot spots just being triggers to play the next section of video.